Afluria is a vaccine that is used to prevent the effects of influenza virus. Influenza virus develops every year and is getting stronger day by day. To cope with this dilemma, this vaccine has also been redeveloped every. It is improved by the health officer of that year. Influenza is a very serious disease that is caused by a virus. It spreads very quickly. It effects on coming in contact a person suffering from it. More dangerous than that, it is widely spread by the saliva droplets that are expelled into the atmosphere whenever the affected person coughs or sneezes. Getting infected with influenza will be the last thing you want to happen to yourself. Influenza kills hundreds and hospitalizes thousands. It spreads quickly and causes deadly effects. Afluria acts like a killed virus vaccine. It introduces your body with a specific virus that helps your body to build its immune system against the disease. It doesn’t actually treat any active infection that was previously developed in the body. Effective January 1, 2017, redefined CPT codes 90656, 90657, 90658, 90685, 90686, 90687, and 90688 will reflect dosage amounts, in lieu of age indications. Effective for dates of service on or after October 1, 2010, HCPCS codes Q2035, Q2036, Q2037, Q2038 and Q2039 will replace the CPT code 90658 for Medicare payment purposes during the 2010 – 2011 influenza season, however, these HCPCS codes will not be recognized by the Medicare claims processing systems until January 1, 2011 when CPT code 90658 will no longer be recognized. Only the diagnoses codes and edits that are associated with CPT 90658 must also be applied to these new HCPCS codes. Effective for dates of service on or after October 1, 2010, the Medicare Part B payment allowance in other situations for Q2036 is$8.784, for Q2037 is $13.253, and for Q2038 is $12.593. Since no national payment limits are available for Q2035 and Q2039, the payment limits will be determined by the local claims processing contractor. Afluria is available in different forms. The injectable form is actually killed virus vaccine as discussed above. Afluria is also available as nasal sprays which is the live virus vaccine. If you have any mild medical problem, then you can have Afluria vaccine, but if there is some serious infection or disease, then you must wait for it to come back to normal. You must also remember the problems and side effects that are caused by the Afluria vaccine because if you get to have Afluria vaccine, then you have to tell your doctor about the side effects. Afluria vaccine cannot be considered as the universal relief. It cannot treat everyone. 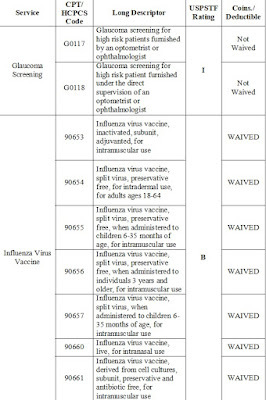 There are some restrictions and limitations of the vaccine. It doesn’t treat the illness caused by the bird flu. Afluria injects the same type of virus that causes the flu. But it doesn’t cause illness. However, one can feel flu in the season. Receiving Afluria treatment is a bit complicated procedure that one must practice extra precautions before receiving it. Here are some of the tips. * First of all, you must have a complete record of the allergy or reaction caused by Afluria vaccination, if you were subjected to one before. * Bone marrow transplant, Cancer treatment or any other medical treatment that can cause weakness in the immune system. * Any neurological disorder in the history. Afluria is given in two ways. The first is the injection into the muscle, and another is through nasal sprays. Injecting Afluria vaccine is the most common way of receiving Afluria. It consists of killed virus. You get an appointment with a doctor and get Afluria injected into your muscle. Afluria weakens your immune system so once you get the vaccination, you get addicted to it and must have it after every year. It is mostly carried out during November and October. Your doctor may advise you to get aspirin free medicine for pain and fever for 24 hours after the vaccination. The vaccination is carried out once in a year, so it is very easy to make an appointment and get your vaccination if you miss your dose. It is not too much of a worry, but you must get it as early as possible. Afluria doesn’t affect you with the flu virus that it injected into your body, but it can lead you to have the flu during the flu season. Keep the exact record of all the reactions caused by Afluria treatment. If you ever have to get Afluria treatment in future, you must have to tell them to your doctor. Never get a booster shot of Afluria if you had life-threatening side effects during the last time. Side effects demand an immediate reaction. Thus, you must call for a medical emergency if you feel any side effects like swelling of the face and lips, trouble breathing and hives after getting Afluria vaccination. Contact your doctor at the earliest hour if you experience any trouble after Afluria vaccination. Following are some of the initial feelings you get if Afluria starts to affect you in an unwanted manner. ** Severe weakness or fatigue. ** Redness and swelling on the part of the body where the vaccine was injected. The dosage of Afluria vaccination varies with age. Young people may get a stronger dose due to the strong immune system while the older people or infants are given a calculated amount of vaccination. Children having age below six months must not be subjected with the Afluria vaccination. Children of age more than the specified period must get a dose after four weeks. If a child gets a vaccination on day 1, then it must have the next shot after four weeks. Children of the age more than nine years must get 0.5 ml of Afluria vaccination. Adults must have a 0.5 ml of the vaccination in the deltoid muscle of the arm. Here are some specific medical conditions in which the vaccination must be carried out with ultimate care. It is still unknown that how Afluria affects the reproduction process. There are no studies that advocate the positive or negative role of Afluria on the pregnancy and reproduction capacity. Medicines get excreted in human milk. So extra precautions must be exercised while having an Afluria vaccination during nursing. There is no proper evidence whether it gets excreted or not. Hem agglutination-inhibiting antibody reactions in the elderly people were significantly lower subsequent to the injection of Afluria as compared to young/adult subjects. Furthermore, usage of Afluria vaccination for children under six months of age is not recommended. Children in this age group are most likely to get the side effects. 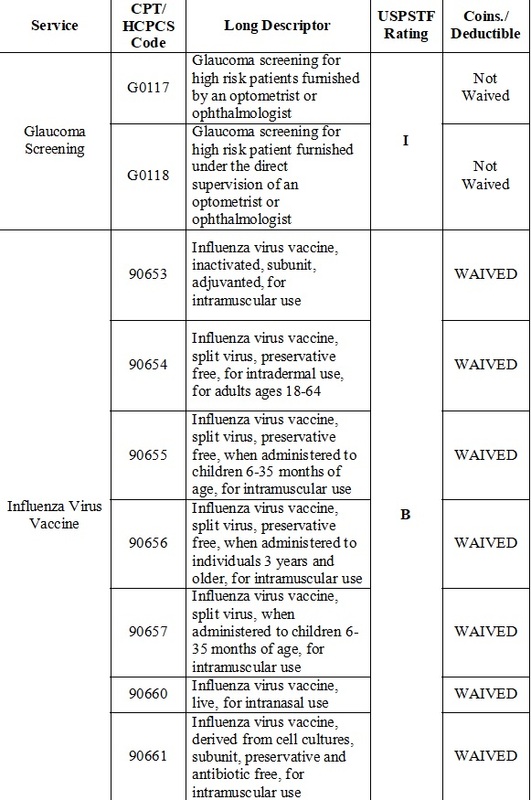 Medicare Covered for Influenza and Pneumococcal Vaccines listed below are eligible for Medicare Part B payment. These vaccines may be reimbursed regardless of the setting in which they are furnished. In addition, the administration fee for these vaccines is also eligible for payment.